The Construction Fort Building Toy Set by Hey! Play! is the perfect toy to ignite your child’s imagination and creativity. STEM (science, technology, engineering, and math) toys are not only educational, but also fun! With 60 pieces, your child can build a hide-away fort in different configurations and their only limit is their imagination. 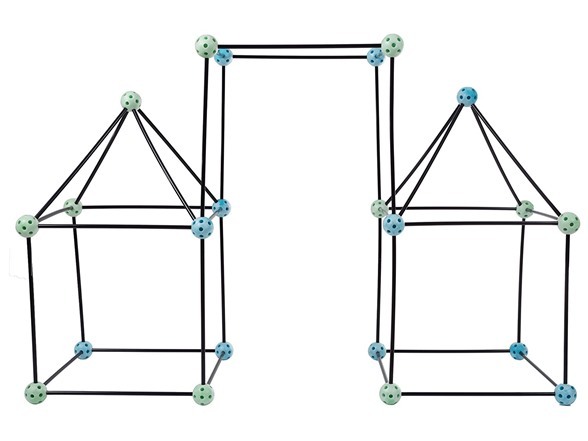 The pieces are easy to use and forts are easy to build in different ways both indoors and outdoors. PROMOTES TEAMBUILDING SKILLS – Working with other kids helps promote teambuilding skills and how to work with others. It can even be something the whole family does together, and can be done inside or outside, making this a great group activity. 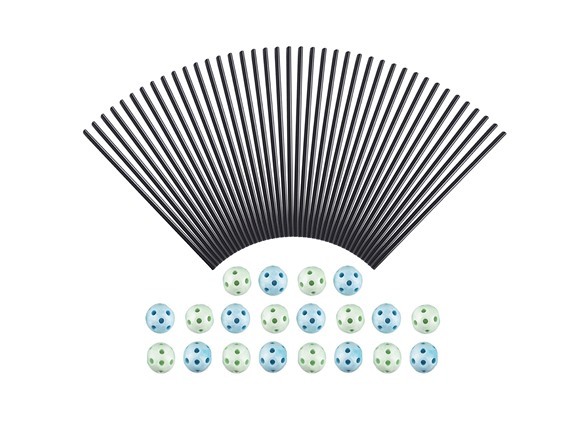 SPARKS CREATIVE AND IMAGINATIVE PLAY – STEM (science, technology, engineering and math) toys spark creative and imaginative play while still being fun and entertaining. 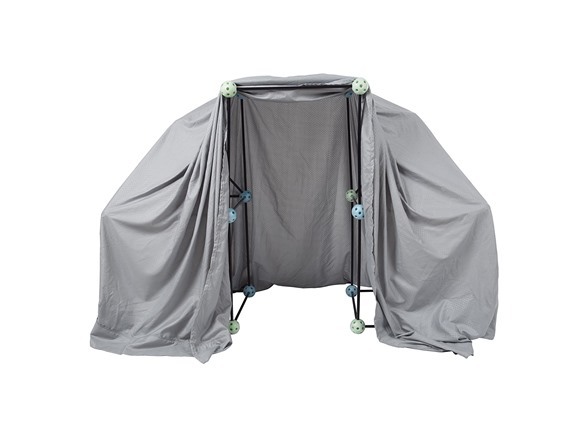 With 60 pieces, your children can create their very own fort or special place all their own. 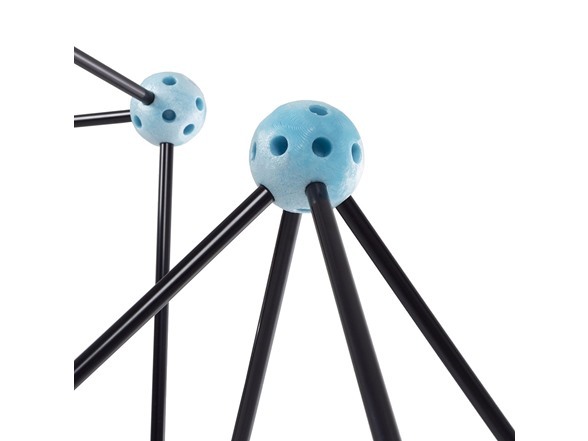 EASY TO BUILD– The plastic rods snap easily and securely into the ball connectors, allowing for countless configurations of forts that are fun and easy to build. 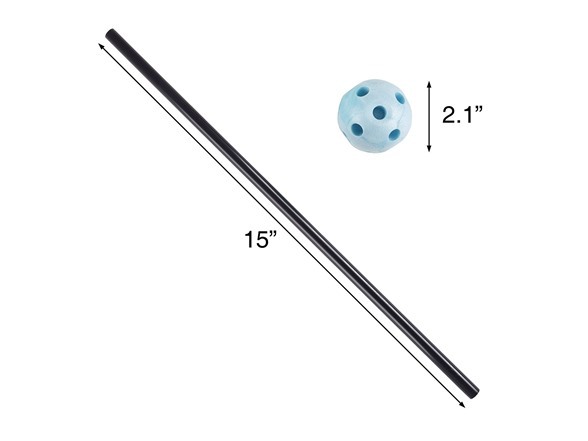 The ball connectors are multi-dimensional with multiple holes in them, so the direction of the rods can be changed in a snap. 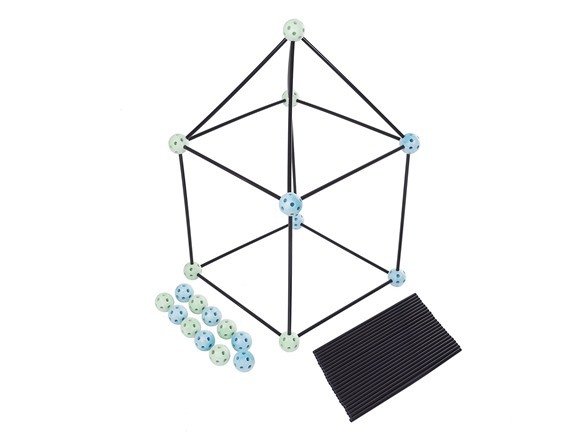 PRODUCT DETAILS – This complete construction fort building set includes 40 plastic rods, each measuring 15” long, and 20 multi-dimensional, geometrical ball connectors, each measuring 2.1” in diameter.